I find the Systeme 41 to be an excellent product for my facial skin. I highly recommend it! I am very happy with my serum. It goes on smooth not sticky. Good under makeup. My skin has brighten & tighten, pores seem to be smaller. Very nice product with real results. Like how this serum melts into my skin. Not greasy and goes well under my makeup. I ordered the product and found tht it worked better than the higher priced C Serum I had been using. It is also more of a cream than and oil which I now prefer. Have had wonderful results with this Serum. I highly recommend it. Leaves the skin flawless! Have used Serum C around a year. At age 62 with real good skin, its been very help full to keep skin smooth and fresh. Apply morning and evening. Use with eye-, night-, and neck cream. 5 stars for the content. 1 Star for the PUMP. Would much prefer a small glass jar and no pump. It's a mess to try draw out the remaining cream. And if you don't you loose a major part of the content!! This product is everything it says and more. I have not finished my first bottle and I can see a tremendous difference in my skin. You can feel it working. Really like the vitamin c serum. It has helped smooth out my skin. After using the product for the first time I really saw a difference in my skin, the more I used the product I continued to see results. It actually does work. Haven't really seen a difference yet, but have not used even a month yet. Do love the way it feels on my skin, though, especially since not oily. This is a very good product. I bought one bottle just to try. Not even one month yet I have seen a dramatic change. Very smooth and brighter skin , elasticity and so on. Very good. Just exactly what Janet Zand wrote about the product . Give it a try and see for yourself. I have now ordered 3 bottles to last me. Can't do without it !!! Thank you so much for this product JANET ! I love this serum I’ve been using it everyday and love the way my skin feels! I have been using this product longer than you think. I was introduced to Dr. Zand's skin system when it was called Zmei. all products are rated 5 stars! People always ask me what I am using on my face, it glows and I don't show the wrinkles people have at my age (71 years old). Besides Vitamin C keeps the skin healthy. I have a LOT of sun damage (from enjoying many years in the sun before the rise of SPF's) and this product has definitely smoothed out the wrinkles! They'll never be completely gone but this has helped foundation do it's job much better. I've been sick and have surgery and it has helped me skin stay plumped up during all the trauma! I decided to try Systeme41 brand after reading the write up about the additional ingredients that are essential for good skin as we age. I have to say, I liked the texture of it immediately. After about 2 months, I really noticed a difference in the way my skin looked. At 68, I was getting compliments on my skin. I'd like to see it last longer, one bottle lasts about a month, but it is still a better value than what I was using before. I would highly recommend this. It's a good addition to the Systeme41 family of products.. This cream really is beautiful. I love the way it goes on so smooth and soaks right in. I have been using it for only three weeks now but I feel my skin is really getting nourished. It’s more moist and therefor much smoother. I also notice my crow feet are smoothing out. I believe with more use it can slowly keep smoothing out any wrinkles. Love this product. Pleased with Vitamin C serum Don’t know if it’s supposed to be moisturizing, it’s not, but I see some improvement thus far !!! I'm using a few Systeme 41 products (also Day Creme and Night Treatment) so I can't say if the benefits I'm seeing come from any particular one. But I can say that since using them, my sun-damaged skin is looking and feeling better than it has in years. Still not flawless, but dry flaky red spots that were getting worse are now almost gone. Thank you, Systeme 41. Ordered one bottle, used as directed and absolutely loved this product. Unfortunately the bottle only lasted for two weeks and that makes it very expensive. Although I really liked it, I won’t be reordering at the $59 price. I use almost all of the other Systeme 41 products too for years and like them and trust them to do good things for my skin. The Vitamin C Serum goes on smoothly and makes my skin look very good and I have seen some improvements in the pores on my nose and less blotchiness on my cheeks. Thank you Systeme 41 for another excellent product. You're a company I trust. I really love the System 41 Vitamin C Serum--it absorbs easily and makes my skin so soft. Will always keep this product on hand!! Makes my skin smooth and moisturizes well. Helps with the dryness from the climate here in Arizona. Vitamin C in this Serum creates a great base for foundation. I find my skin firmer along with lightening. I really love this product - it is so expensive - can you reduce the price on it? My skin looks "brighter" according to my husbands observation. I have been using the Vitamin C serum with the Day and Night cream. Love it! This is the first product that I have ever used that has actually delivered on its promise. Spots are fading and lines are diminishing. Worth every penny. At age 68 I am frequently thought to be 20 years younger. I've only been using this for a month or so. I bought it because I was concerned about lines around mouth . I would say I can already see a slight improvement in the lines, but the texture of the skin on my face and neck seems much smoother and finer. Have used the Systeme 41 products for several years and very pleased with the results. Most people don't believe my age. The price is very reasonable compared to other skin products that I have used in the past. I love the natural product and ingredients. We love all the products, they work and people always ask what I use for my face. I've been using Systeme 41 products for two years now and enjoyed the results and the fact that the products were all natural, but only recently did I add the C serum. The vitamin C product made a noticeable difference in my skin in less than 10 days. Age/sun/hormone spots faded! My face and neck look smoother and the tone more even. I have been going without a bb or cc cream (my usual "makeup") and I'm loving it! I'm hoping for even greater results on my neck after longer use! I have trusted Janet Zand and her products for many years before hearing about Systeme 41. I'm so pleased she's provided these products and made them accessible. No rip offs here. I highly recommend. I am grateful for the changes I have seen in the overall health of the skin! Thank you Systeme 41! I purchased the serum for myself and my daughter and will use it as an anti aging product. Systems 41 works. Thank you Dr. Janet Zand. GOD BLESS you. Would recommend to anyone desiring a quality product that works! I have been using the basic System 41 skin care for about 4 years. I recently added the Serum to my routine. I really didn't want to because I don't like to fuss but thought I'd just try it. I love it! I saw a difference right away. I always get compliments on my skin and I'm in my 60's! Won't use anything else! I have tried many creams and lotions on my face and I always eventually break out. With System 41 I never do. Also I have been asked by people younger than I what I do to look so good. I'm 74 years of age so I don't expect to have no wrinkles but this helps smooth them out. My eyes used to water quite often and my face would break out with spots. After trying quite a few different products, I now realize it was due to products that were too harsh. Since starting the Systeme 41 routine, both problems are gone. I love the gentleness of this entire line, but I've noticed younger-looking skin especially since using the vitamin c serum. I make sure not to run out! I feel that my skin has improved using vitamin c serum. A friend said she thought my skin was smoother. Age spots slowly becoming lighter! Skin does not dry out during the day! Skin feels supple! Because I have basically good skin, I want to keep it that way. I have had some really bad experiences with other products that made great promises and decided to stay with Sysreme exclusively. Most people judge me to be about 65-67. I was 80 on June 20!! I like this product as it is easily absorbed without clogging up the skin. It is not greasy. It is easy to apply. I really like how my skin feels with the vitamin c serum. This serum has made a visible difference in the brightness and texture of my skin after only a few weeks. It also has a very light pleasant scent. I will continue to use it. I am most pleased with systeme 41 Vit C face serum. My age spots have visibly diminished for the very first time. My face feels soft and no longer dry. 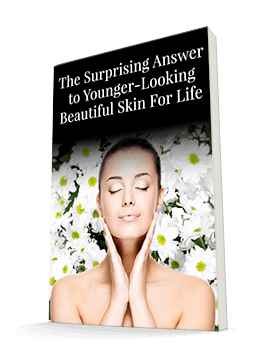 The Vit C serum lasts longer than many highly rated facial creams and moisturizers. I have been using the vitamin c serum for approximately 8 weeks and do see a difference. I will purchase this product again. Wonderful skin care that truly delivers results! Much firmer, smoother, line free skin! I've been using it for a couple months and love it! Great moisturizer. Evened out skin Blemishes. Gentle tightening effects I really liked. Vitamin C Serum was highly anticipated and it did not disappoint. I use it with Eye Serum and Night Cream. I live in South CA in dry climate and this combination helps my skin to feel moist. As for wrinkles - I think they are not getting deeper what at my age of 62 is already success. One negative is that the pump container is not suitable for vitamin C Serum. The cream consistency is such that a lot is left in the bottle but nothing comes out when the pump is used. I thing a simple small jar would be much better. Overall, I am very satisfied Systeme 41 customer and gave Vitamin C Serum and Night cream to my friend for her birthday. I have only been using Systme 41 recently. I can not give results yet. But I enjoy and believe the comments. I am a serious believer in vitamin C so I don’t think I can go wrong!. For now I love the very slight grace ranch as well as how easy it is to massage into my skin without being greasy! Keep posted I should have news on about 2 weeks. Ps i ten day have a bit left on my fingers and it ends up being my night time hand cream. I hope every one enjoys this product as much as I do!! Sister’s are also trying this product and have said they really like it too. I have been complimented on how my complexion is luminous and dewy. Don’t know which of the Systeme 41 products giving me the complimented complexion as I also use day and night cream, eye serum, and the cleansing cream. I believe it is probably a combination of all the products. I have been using Systeme 41 products 3 to 4 years now and have no plans of trying anything else. I just wish there was more vitamin c serum packed in a larger bottle. It does seem to be helping my facial skin. I don’t know about wrinkles as I see my face everyday and don’t know if wrinkles are better or not. I do like the smoothness of my skin. Am finding the product excellent but as yet am not sure exactly if it has improved my skin. I am a lot older than the usual user of the product but will admit I think it has made me look considerably better. I find the Vit. C serum a little too drying for my skin, so I am only using it once a day. I really love the Day and night creams, however. It hasn't been a month yet but my skin is softer and my makeup looks smoother. I have already been using the Systeme 41 skin care system for approximately 2 years, and added the serum C when it became available. I cannot say that it has dramatically changed my skin, but it has added to the overall tone and texture of my skin. It is easy to use, nice, measured dosage. Hi, I have used all the face creams for the past four-five months, ie vitamin c, day and night creams, never missing a morning or night time application. I think your creams are beautiful, rich and moisturising, I love them, but unfortunately they have not improved my lines, which are down the lower check and sides of the mouth, and I would so like to get rid of them, or even lessen them a little, but to date I have found no cream or treatment that helps. Did not realize I needed to use moisturizer on top of the Vit C serum. Since using a moisturizer in addition to the serum, my skin seems to have firmed and it is smoother. I am continuing to use the products. I am nearly 64 years of age, so keeping my face looking young is a real priority! I love sitting the sun, so I need ALL the help I can find! So I ordered System 41 about 3 months ago, and I have noticed that wrinkles I had now my face then now have softened, and my face looks younger than it has in a very long face, despite sitting in the sun. Praise God!!! I’m sorry it seems not working for me didn’t see any improvement at all. Im using already 4 diff kinds of natural products and just keep looking for one that can get rid of my dark spots not jusr fading it. And can’t use it during the day when I put sunscreen and foundation on it, it forms like clots,don’t really know how to describe it, But thanks. Works well,smoother skin and less wrinkles but it seems there is not much product in the container. Nice packaging ..dark glass bottle keeps ingredients fresh, pump dispenser keeps it clean. Product feels good, goes on easil, absorbs well, and doesn't cause irritation. However, there is no visible difference in my skin. Perhaps it's because I am 76 years young, and it may take a little longer. Also, I am primarily interested only in brightening, lightening dark spots and firming, as wrinkles are not an issue. Wish I could give System 41 Vitamin C Serum a better rating, but it just isn't doing the job for me. Old ageing skin with age marks. No much improvement after 5 weeks use, sorry. Thank you. At this time there hasn't the result I've expected. I live in a dry climate and play sport, fishing 6 months of year, so I guess I will see more results after using second bottle or perhaps after bottle number three! Returned product because one didnot work. I trust my account will be credited. I do like your informative emails and products are probably good. May try again but with the one we are using have not noticed any difference but have been using a similiar product. I found this product to be unremarkable. Cream very difficult to dispense; actually seemed to intensify wrinkles. Not able to use around eye area and did not help hydrate. Did not work for me ! It did not do what is was supposed to do. I would not use it again. My Homeopathic Doctor & I don't like the long list of ingredients and it seemed to have cause my face to have more cysts so I will be returning it soon.